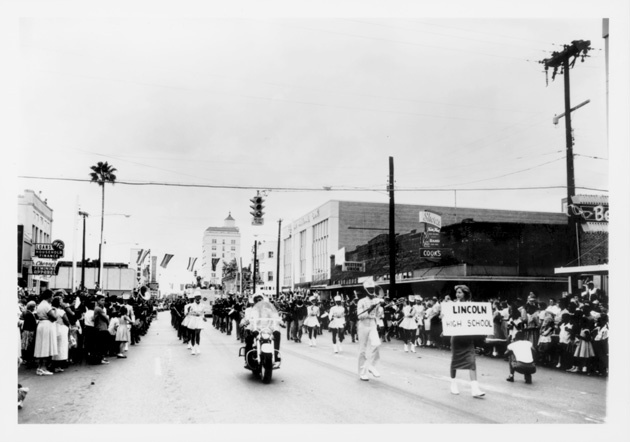 ﻿ Lincoln High School band in the 1958 University of Florida Homecoming parade. Lincoln High School band in the 1958 University of Florida Homecoming parade. Lincoln High School band in Homecoming parade. October 17, 1958. E. H. Bone Photo Collection. Photograph 2925 from the University Archives Photograph Collection.